Gender-transformative approaches are different. 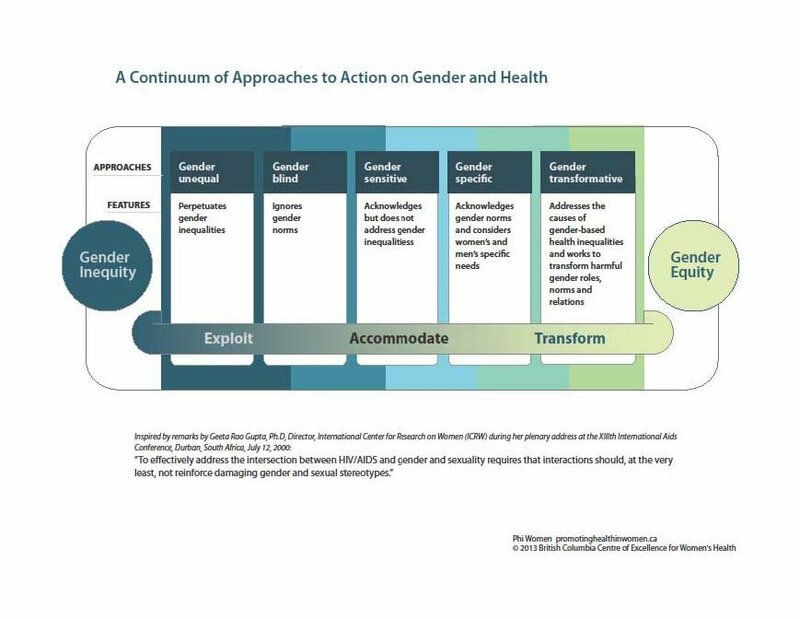 They actively strive to examine, question, and change rigid gender norms and imbalance of power as a means of reaching health as well as gender equity objectives (33). Gender transformation is a relative concept that seeks to shift gender roles and relations closer to gender equity in any given context. Since gender equity is likely never fully attained, gender transformation is an ongoing process. As cultures and societies evolve differently, though, what is transformative in one context, however, may not be transformative in another. Gender transformation involves identifying the ways that gender discrimination, inequality or oppression operates in a particular situation and taking feasible steps toward improving these conditions – even if the result would still be considered regressive by the standards of another situation (33). Gender transformation is therefore possible in every context, from the most repressive to the most progressive. Click to view Interagency Gender Working Group – Gender Continuum Training. This resource provides program examples to practice identifying elements according the gender continuum. Also the organization TrueChild, along with their partners, has developed a number of reports on intersectional approaches to connect class, race and gender. These reports describe specific contexts in which young people are affected and suggest gender-transformative approaches to change.